Sometimes, playing well is not enough. Sometimes, your opponent is just better. “Karlskoga is the best team in the league,” Coach Edgren says. 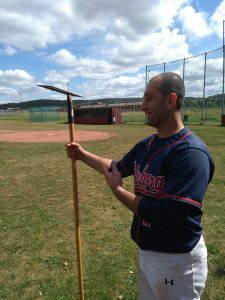 The Sharks faithful was indeed perplexed as the Göteborg Hajarna (6-6) took the field on Sunday against the Karlskoga Bats (10-1). One could hear murmurs from the sold out bleachers; “Did skipper Jonny Edgren fill out the lineup card wrong?”. Was Edgren busy dragging the field instead of writing the lineup card? 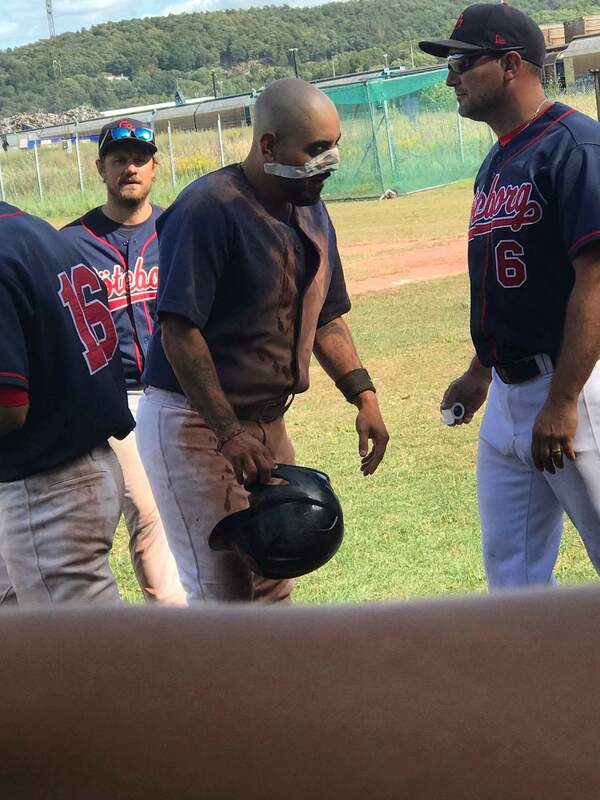 Seeing as long time, veteran catcher Toofan Khazal (0-1) entered the game without that breast plate and took his place on the mound – the astonishment was justified. Khazal got the nod for what might have been his first start in his storied career, and he made Coach Edgren look good in the process. Despite being somewhat surprised himself by the fact that he was wearing a cap and not a helmet, he threw well. The Bats all day long managed mostly soft contact as Khazal pounded the strike zone, and was a ground ball machine. 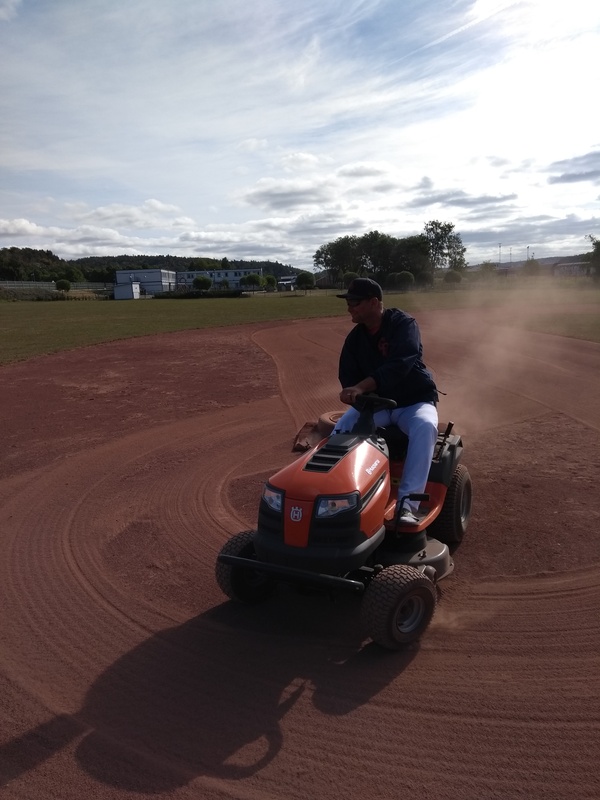 That made the infield, led by shortstop José Muñoz, work hard and looking good in the process. Unfortunately, Karlskoga was a little better. The Bats was very efficient on the few hits that happened to drop. Especially the double from Kent Karlsson in the first inning was clutch indeed. Khazals hard work, and good cooperation with battery mate Lars Karlsson, was to no avail. “I never doubted him, not for a second,” Edgren says. Khazal ended up giving up four runs (none earned) on five hits, striking out three and walking none. On the offensive side, the Sharks looked extremely rusty coming off a long summer break. 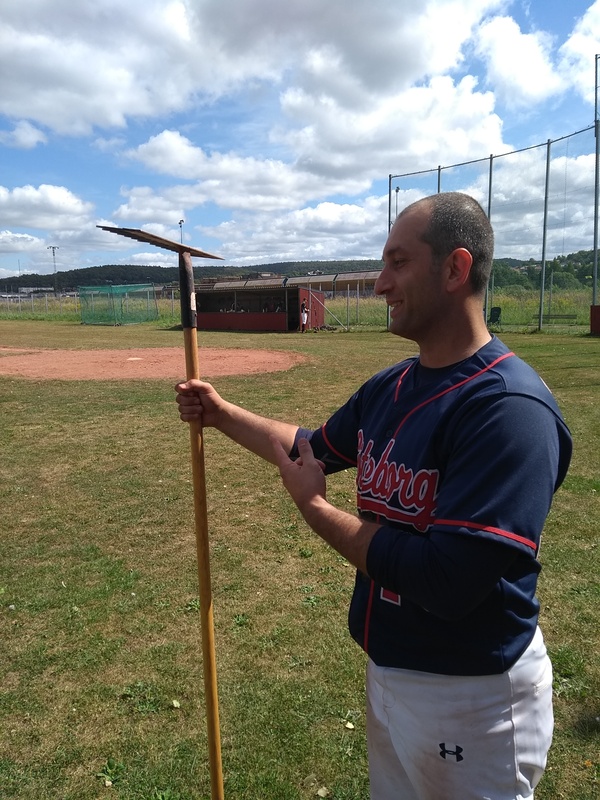 Even though this reporter does not agree with the official scorer on this particular matter, the box score says the Sharks were no hit byt Bats starter Simon Andersson (4-0). It doesn’t really matter as Andersson was highly effective giving up no (i.e. one) hits, striking out 14 while only giving up two free passes. Somehow, the Sharks still managed to score two runs and kept the game interesting until the final out was made. Game one ended 4-2 in the Bats favor. “We played well. Rusty at the plate yes, but still well. We face a good team today,” Coach Edgren says. On to the second game… and it was pretty much the same story. While Khazal was back at his normal spot behind the plate and José Martinez (3-3) was back on the mound, it felt like it was same procedure as last game (James). The Bats kept on batting and the Sharks kept on being hapless at the plate. While they did found hits in this one, it was only six and besides Eric Marquez and Lars Karlsson, no Sharks had ribbies to show for it. Scoring two runs is seldom a winning strategy in Regionserien and it wasn’t today either. Marquez was roughed up… by a base. The base won. The Bats got to Martinez who was plagued by timely hits and somewhat inconsistent defense, Despite striking out eleven, he gave up seven runs (five earned) on nine hits and two walks. “We need to work harder in the cage going down the stretch, this won’t do,” Edgren says as he sums up the day. The Sharks did keep the game close pretty much all the way against the Bats starter, former national team pitcher Kent Karlsson (1-0). Going in to the last frame, it was a 4-2 lead for the Bats all over again but this time, they made sure of it and got three more in the seventh to make the final score 7-2. Nic Ekström was fighting fires instead of being hit by pitches. Honorable. In his absence, Edgren put this reporter at first in game two. Marquez was roughed up hitting beating a throw to second with his face (he was safe). 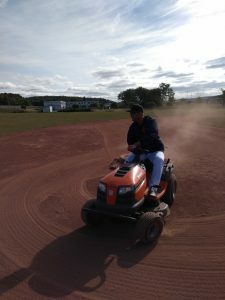 Legendary pitcher Hiba Nabi made his comeback, albeit not from the mound, but looking good in the outfield. Legendary companion to Nabi, Josef Hussein, also made his comeback. This entry was posted in Gothenburg Sharks on August 7, 2018 by alex.